You have to wonder how much of a factor the walkout plays for fighters and their mindset going into the Octagon for a fight. 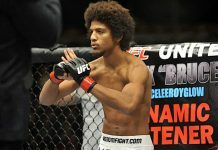 UFC featherweight Alex “Bruce Leeroy” Caceres had something new thrown at him during his walkout on Saturday night at the UFC on FOX 18 event. 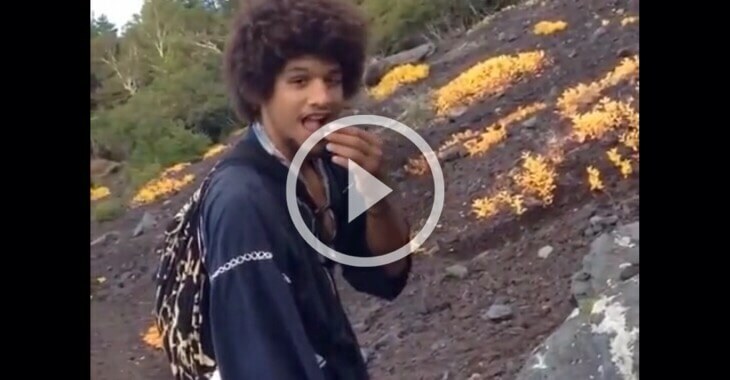 A member of the production crew for the UFC on FOX 18 show stole the show and has been the highlight of UFC veteran Alex Caceres’ fight walkout. As Caceres was walking out from the backstage area to the Octagon, the cameraman following Caceres falls down to his back with all his equipment. 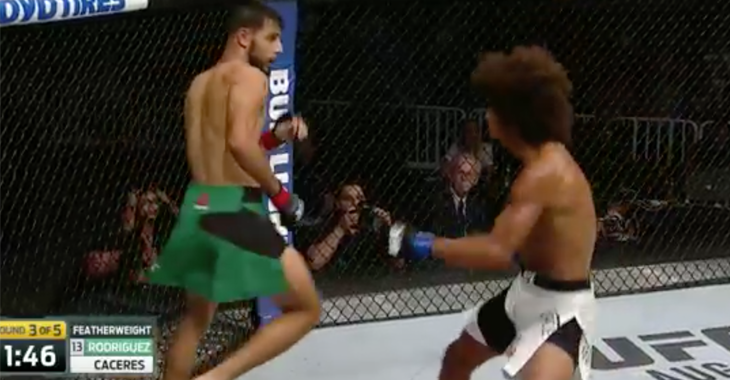 Caceres who looks like he was totally focused on his fight coming in the approaching moments stops for a second and continues on towards the Octagon. One of Caceres’ cornermen was there to help the cameraman back up who looked more embarrassed than hurt by the little stumble caught on camera. 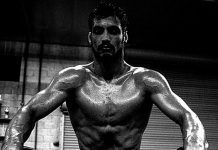 Caceres would go on to win a unanimous decision over Masio Fullen as the two opponents put on a show for the UFC on FS1 prelims in New Jersey.